Depeche Mode London Stadium Aftershow Party will be hosted by Blitz Music & Some Bizzare at Electrowerkz, Angel, Islington after Depeche Mode’s only UK gig on their 2017 Spirit Tour. Following a totally rockin’ gig by the DM boys, we’ve put together a special night of live music and top DJ set’s including a shed load of DM tracks, Electronica, 80’s Synth & Alternative 80’s classics. Steven Jones & Logan Sky (ex Visage) with guest vocals from Lauren Duvall (ex Visage) who’ll be performing a Depeche Mode set together with their new singles. ComsiComsa – Swedish analog-electronic band, recently signed by Some Bizzare. Special guest StevØ (Stevo) Pearce of Some Bizzare Records needs no introduction! The legendary manager, producer and music impressario was the first to see the huge potential in the Depeche Mode boys and signed them onto the Some Bizzare Album in 1981. 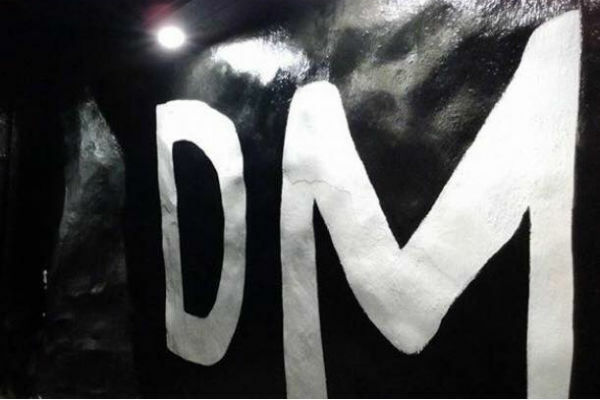 This is a high profile Depeche Mode party with a limited number of tickets (available on a first come basis), so book now to avoid dissappointment! Singer Steven Jones met keyboardist Logan Sky through their mutual friend Steve Strange of legendary 80's band Visage with whom Sky had been playing synths since 2010. Jones and Sky take their inspiration from early 80's New Wave, Depeche Mode, Ultravox, Roxy Music, Bowie and Japan. They have delivered two highly rated EPs, Desire Lines and Polaroids, and have recently completed a new album with vocalist Lauren Duvall, with whom Sky had worked during their time in Visage. Listen to Steven Jones & Logan Sky on Soundcloud.